The Tin Haul STARLIGHT boot is a great choice for fashion, fit and comfort. This Tin Haul boot has a star design stitched on the vamp and brown leather on the vamp with blue leather on the shaft. 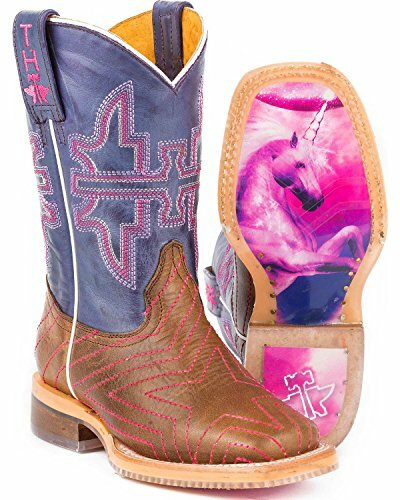 The boot has a unicorn sole. It has a 8 inch shaft with premium leather lining. The all leather walking heel and cushioned insole make this boot extremely comfortable. If you have any questions about this product by Tin Haul Shoes, contact us by completing and submitting the form below. If you are looking for a specif part number, please include it with your message.